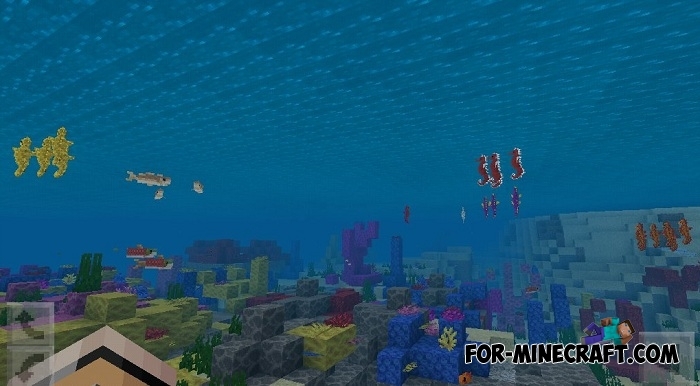 New fish in Minecraft Bedrock 1.4 have become a wonderful feature for this addon. No, it's not a new kind of fish, it's real sea-horses living in the oceans. They are difficult to miss because of the unusual shape and structure of the body. Different coloring can mask them on the bottom among kelp and grass and also bright corals. These creatures lead a quiet life and never attack anyone. 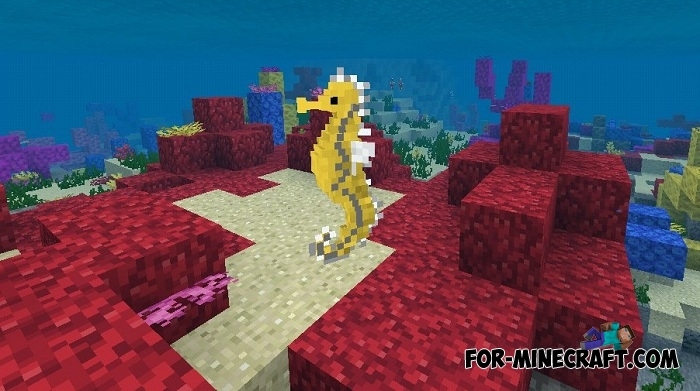 Beautiful screenshots are guaranteed if you find yourself among sea horses. Do not forget to update MCPE as almost every week developers release cool updates. How to install Sea Horses? Mask mod for Minecraft PE 0.15/0.16.1Are you tired of the usual skins? Then download Mask mod that adds to the game nine special masks..
Majora’s Mask / Zelda mask mod for Minecraft PE 0.12.XMajora's Mask - this addition for Minecraft PE 0.12.1/0.12.2, due to which your game will be a variety of masks, from the universe of Zelda games.